First collect 80g fresh ginger juice – either use a juicer or squeeze grated ginger in a cloth to extract as much juice as possible. Combine all the ingredients in a pan. Freeze the sorbet using an ice-cream machine or using dry ice. Heat all the ingredients in a small pan and simmer for five minutes. Then turn off the heat and leave covered to infuse. Store the citrus infusion in the fridge. Thank you for your message. The citrus mist infusion is optional and not part of the sorbet recipe. 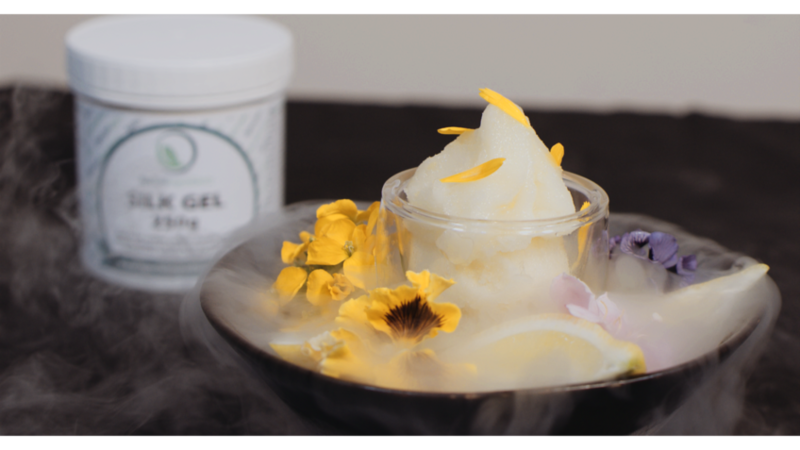 The citrus mist was done by adding lemon juice to water and pouring over dry ice to giv the mist effect.